Affordable Web Design - What are all the options? The word “affordable” can be subjective and so “affordable web design” might mean different things to different people. That’s why I included different options and price levels but I’m assuming an affordable web design for most people is under $500 and for some, affordable means FREE. For most people, one of the options above will work for getting an affordable website. But some people reading this may need to spend more for a custom website to achieve the look they desire. It’s a little scary to get quotes on web design because you don’t know what is a fair price and it’s not always easy to find reputable web designers. I’ve built over 300 websites since 2011 and most of them have been under $600 so I know a thing or two about affordable websites. 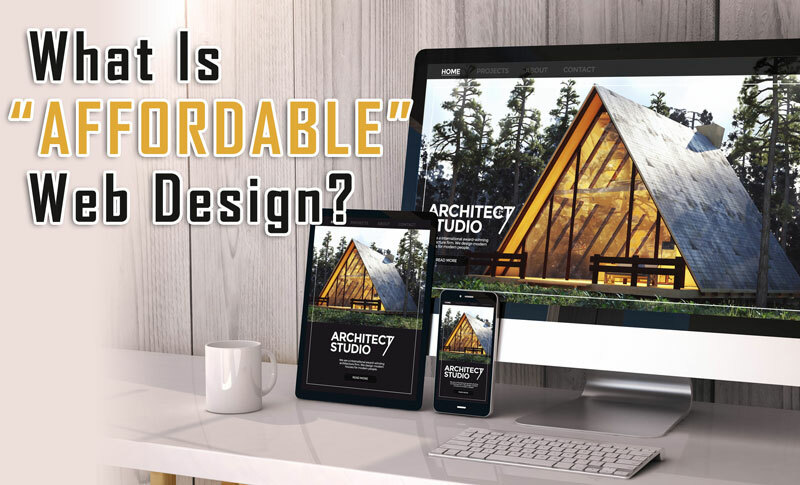 Before I show you a few options for affordable web design, let’s discuss what the word “affordable” means. It simply means “inexpexpensive” or “reasonably-priced” so if you’re looking for affordable web design services, you’re probably wondering what website design should cost so that you get a good deal and don’t get ripped off. If you’re looking for a simple informational website of less than 10 pages, you can usually get that done for $500-1,000. You can then add $100 per page as an estimate so adding 10 more pages would add another $1,000 to the project. Obviously, you’ll find prices all over the place so this is just a rough estimate to check IF you’re getting an affordable price from your web designer. If you’re paying more than $1,000 for a 5 page website that is informational, you might not be getting an affordable price. E-commerce sites are more complex than informational sites and will require more time investment. As a result, you can expect to pay more. I usually charge an additional $300 to setup a shopping cart plugin, product and category pages, and payment and shipping options. You can expect to pay $1,000 – $3,000 for an affordable e-commerce website design. If you have thousands of products or more complexity to your ordering process, the cost of e-commerce web design can increase quickly. What Type Of Web Design Is The Most Affordable? One of the reasons that web design has come down in price over the last 20 years is because of how technology has changed to make the process so much faster. Web designers in the past had to manually type out all the code to design a website or use very basic HTML editors. 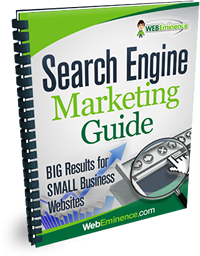 The result was a lot of hours for even a small informational website which meant a small 5 page website could cost $5,000 – $10,000. Now – with website builders and popular platforms like WordPress combined with premium themes, the process of getting a professional website at an affordable price is much faster. And less hours put into a project means cheaper prices. There are lots of options for building a site and a DIY website builder like Squarespace, Wix or Weebly will be the cheapest option. Building a site from scratch with a graphic design that is then turned into a HTML is still the most expensive web design process and only larger companies doing custom projects need to spend this type of money. Affordable Website Developer? Or freelancer? Once you insert the word “developer”, it usually means you’re building a more complex website and it’s probably going to be more expensive than a simple informational website. But looking for a freelance web designer or small web design company is a good way to find an affordable web design service. As with most business services, the larger the company gets the higher the price will likely get. 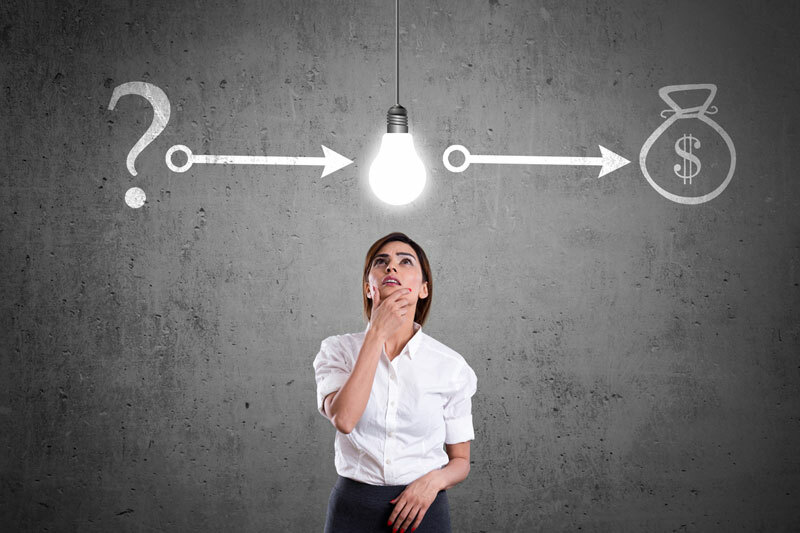 Is It More Affordable To Hire a Web Designer In India? As with most services and products, it will be cheaper to purchase them overseas. Hourly web design work is cheaper overseas in countries like India and Pakistan so you can find companies and freelancers in countries like that who can build you an affordable website. 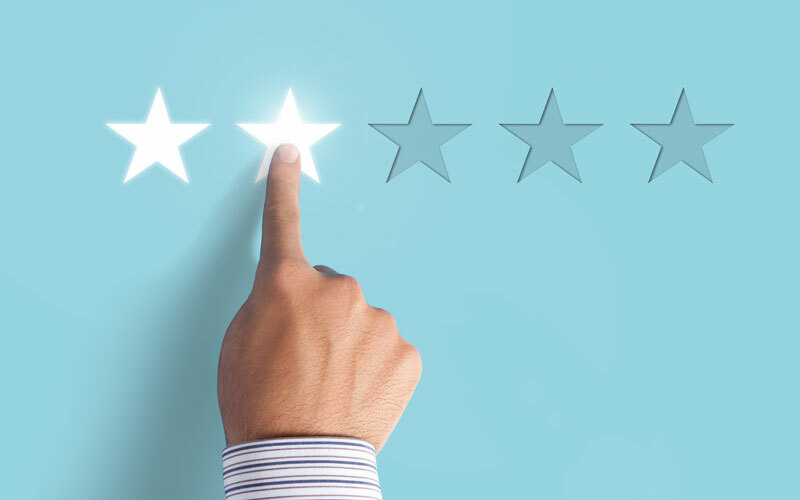 If you do hire a web designer overseas, make sure you are confident in their ability to communicate and make sure to example examples of their work to ensure it is the level of quality you’re looking for. NEWS FLASH: It’s not 1999 anymore. You can create websites without building them from scratch using HTML code. There are hundreds of affordable website builders out there that make it so easy that if you can send an email, you can probably create a website with a DIY website builder. Two examples of great website builders that I’ve reviewed on my blog are Weebly and Squarespace. You can read more about website builders and see my reviews and favorites here. It’s true – the results will not be the same as if you were to spend $5,000 on a custom website design but the website builders require no upfront cost and the monthly fees can be as low as $10. And they keep getting better and better! The functionality they provide and the design themes are getting to be top notch so that it may be hard to tell if your site was built by a professional web developer or YOU! Buyer beware! There are some bad website builders out there that put out below average products in the hopes of roping in as many unsuspecting customers as they can. So make sure to read the reviews and find a reputable builder with proven success. There are plenty of them and you’ll find a few on my website builder page mentioned above. While using a website builder is a great affordable option for people who want a simple way to design a website, it doesn’t always yield the most professional results. This is because you’re limited to the pre-designed themes that are available from the website builder you choose. You’re also limited to the features they make available so there is little flexibility. If you want more flexibility in design and features but still don’t want to spend a fortune, using WordPress might be a great option for you. WordPress is a free content management system that you can install yourself and use to setup your own website. It doesn’t get much more affordable than FREE! You may not have heard of WordPress but my website and blog run on WordPress along with over 60 million+ blogs and websites on the web. WordPress basically runs half the websites in the world! Since WordPress is “open source” there are thousands of design themes and plugins available that you can easily implement into your website to get the functionality and design you’re looking for. Because of it’s added functionality, WordPress is not as simple to use as the website builders which are designed for beginners. That’s the price you pay to have a more professional web design. However, if you’re willing to put in a little time to figure it out, you’ll end up with a better website and a lower monthly payment. If you run into trouble, you can always find a WordPress expert to help you out. To use WordPress, you need to first get your domain name, and then purchase hosting. I recommend Hostgator for good starter hosting as I’ve used them for 10 years when I was starting to host websites and was completely satisfied. You can use the coupon code “WEBEMINENCE” to get a discount on your hosting order. I do receive a commission when you sign up through my link. So thanks in advance! After setting up your hosting account with Hostgator, you can watch the video above for instructions on installing WordPress on your website. It’s easy and only takes a few minutes. Since WordPress is hugely popular, you’ll be able to find help and tutorials all over the web, but here are some of the WordPress posts on my blog to get you started. WPbeginner is another great source for beginner WordPress help. The two options above are Do-It-Yourself options and – let’s face it – the cheapest way to get something done is usually to do it yourself. But there are plenty of people out there who want an affordable website but don’t have the time to create it themselves. Many web designers charge $1,500+ for simple informational websites but that is simply not in the budget for many small businesses. You should be able to find some affordable yet high-quality web designers out there but it will take some due diligence on your part. I created an affordable web design service where I develop professional sites using WordPress and premium design themes. My pricing is under $600 for a 6 page website in most cases. My team and I have built over 300 sites since 2011 so our process is solid and our work is appreciated as you can see from the many positive testimonials we’ve received. My Complete Website Package is a very unique service and you’ll see why when you read the details on this page. On that page, you’ll find examples of websites we’ve completed and testimonials. Make sure to contact me if you think my service would be a good fit for you. Watch Out For CHEAP Websites! There are some crazy deals out there like free websites and websites for $89. Beware of low-quality sites and deals that will cost you more in the long run. For example, some companies will build your site free using cookie-cutter software and then charge $179 per month to host it. That will cost you a lot more in the long run! It takes at least a handful of hours (and probably a lot more) to build a decent website. So you have to ask yourself how someone can do it for $90. If you’re seeing deals like this, the web designer is probably using a template to create cookie-cutter sites in about an hour. And like the example above, they are probably in it for the recurring income so watch out for high hosting and maintenance fees. Another tip is to check out the web designer’s portfolio of completed websites. Do they look decent? Do they all look the same? Also check out the web designer’s own website. How does that look? I often see web designers sites that look like garbage and load horribly slow. Why hire a web designer when they can’t even get their own site in order?!! Hosting is one of the main costs of web design so if you’re considering affordability, you have to consider affordable website hosting. Like I mentioned above, some web designers or large companies will hook you with cheap or free web design and then they will get you on the ongoing hosting fees. Hosting can be very affordable if you’re looking at entry level hosts. 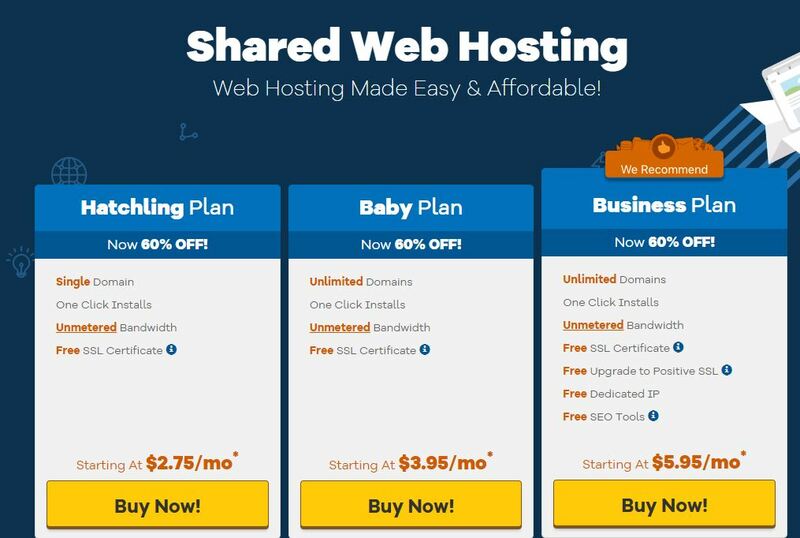 Check out the Hostgator shared hosting plans as I write this in 2019. The price for a single domain is as low as $2.75 per month if you pay yearly. Now that’s what I call affordable. And as mentioned above, I used Hostgator for over 10 year myself so I can confidently recommend them as a solid entry-level host with reliable support and technology. 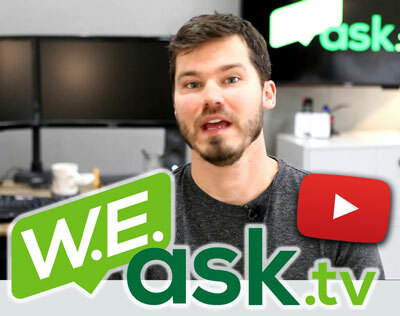 What Other Questions Do You Have About Affordable Websites? I tried to cover most of the questions you might have on this topic, but if I missed something or my post brings up other questions in your mind, feel free to comment below and I’ll make sure to respond with an answer! Thanks for reading all the way to the end!